Have you always wanted to try your hand at growing a vegetable garden? Are you looking for a place close to work with comradery and advice about how to start gardening? Or, maybe you’re an expert gardener, but your yard is too shady? Then join with fellow St. Joseph Mercy Hospital Ann Arbor staff and retirees at the Staff Community Garden at The Farm at St. Joe’s! 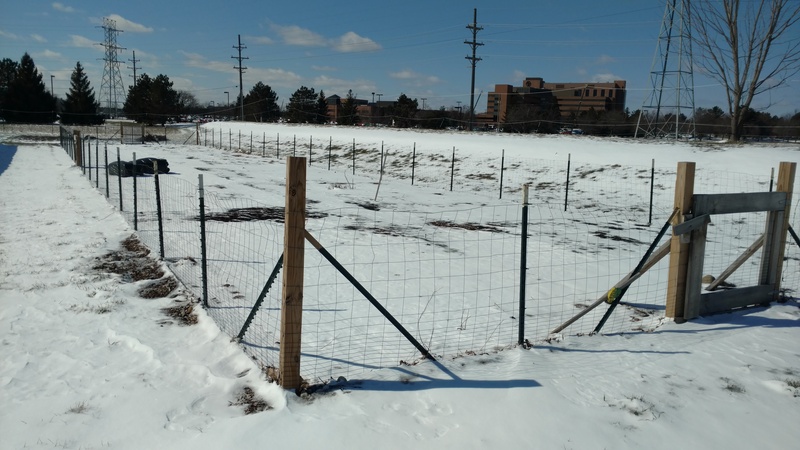 St. Joseph Mercy Hospital Ann Arbor staff and retirees will be able to sign-up for a garden plot on a first come, first served basis this spring. For a fee to cover the use of the plot for the summer, SJMHS staff gardeners will get a composted, tilled plot in a communal, fenced-in area with sustainable paths and access to water. There is a workday to add the compost– see below. The garden is located outside, near the hoop houses at The Farm at St. Joe’s. Standard plot: 10′ x 10′ or 10′ x 9′ The cost is $15 plus a refundable deposit of $15 (total $30). Medium plot: 10′ x 12′ The cost is $20 plus a refundable deposit of $25 (total $45). Large plot: 10′ x 15′ The cost is $25 plus a refundable deposit of $35 (total $60). We ask that experienced gardeners or groups of people who are committed to maintaining their plot sign-up for this size. Signing up for 2019: You may sign-up as an individual or as a group. However, when registering we ask that one person registers and pays for the plot. There are a limited number of plots. Note: Gardeners must be staff or retirees who work(ed) at Saint Joseph Mercy Hospital in Ann Arbor at the time of signing-up. Refunds of the deposit will be provided to gardeners that clean-out their plot in the Fall. Deposit: Checks for the deposit should be made out to “St. Joseph Mercy Hospital”. The deposit and a signed Employee Community Garden Contract (see below) will be collected at 1) orientation for gardeners new to the Staff Community Garden or 2) by the Garden Coordinator, for those who are returning to the Garden. Orientation to the Staff Garden (required for gardeners new to the Farm): To participate you must attend one of the orientation dates. Orientation will last 20 min and will include a tour of the Farm, a review of the governing rules, and a chance to meet Amanda and Rozelle. Bring a deposit. Orientation will be scheduled at the Farm (5557 McAuley Dr.), TBD at 4pm. After you sign-up for a garden plot, information will be send to you regarding the orientation. Opening: This depends on the weather and our ability to prep the soil. Dates typically range from the last week of April to mid-May. Closing: Gardens must be cleaned up by Nov 15th. Community Staff Garden Workday: Date TBD– Thurs at 4pm in April or early May. This workday will be to place a layer of compost over the garden and till it into the soil. This will prepare the beds for planting and help grow strong, big plants. Intro to Gardening Training (optional): Date TBD. This class is for the those new to gardening who are looking for information on how to get started. Rozelle Copeland, the Garden Coordinator, will cover a variety of topics, including: heirloom vs. hybrid, what to expect, figuring out what and how much to plant, how to plant, and tips for tomatoes. 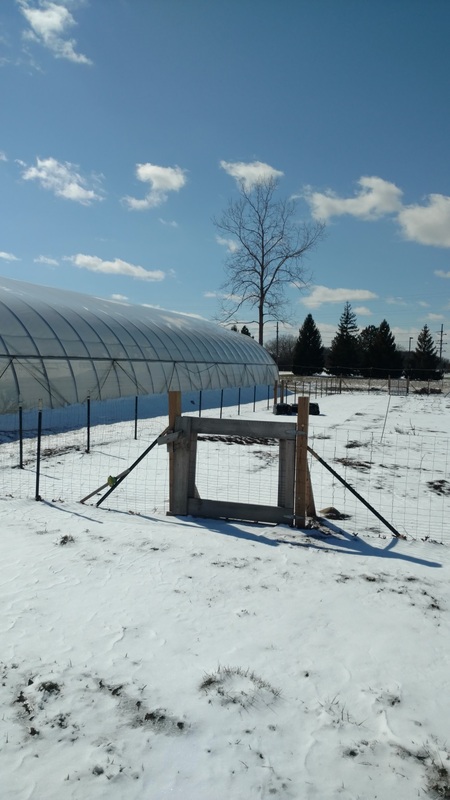 In the Spring of 2016 on sunny Saturday afternoon a few of the staff who signed-up for a plot, other volunteers, and Amanda, the Farmer, gathered to helped build the Staff Community Garden. Later, after the fence was put in and paths were laid down, staff got started on planting. Putting fence posts in– that is Amanda in the front. Adding the chicken coop fencing. Here is what the garden looked like in March 2017. That is the Reichert Health Center Building in the background.